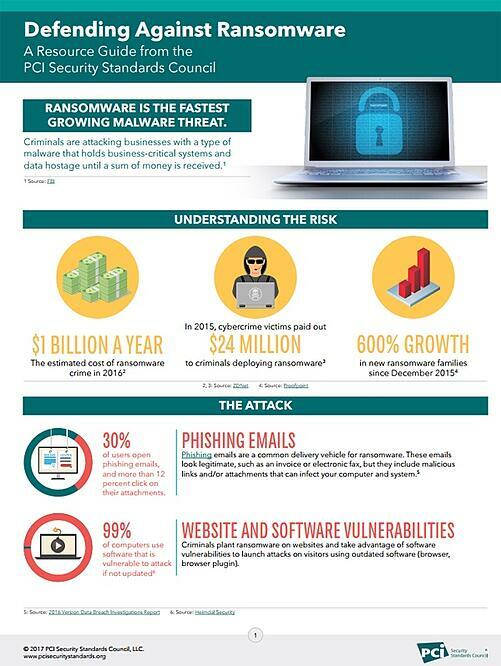 Ransomware is the fastest growing malware threat. In a ransomware attack, criminals will infiltrate a business with a type of malware that holds business-critical systems and data hostage until a sum of money is received. Read this PCI Security Standards Council resource guide on ways to prevent ransomware attacks.